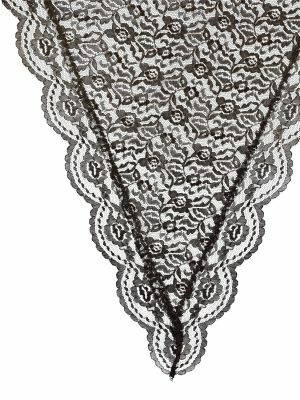 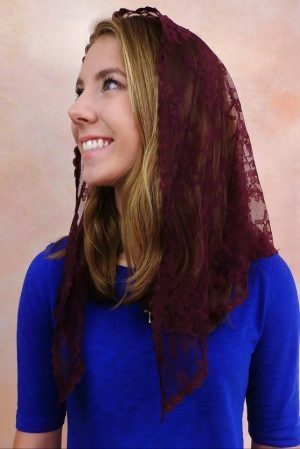 Veils by Lily – Fall in love with this beautifully simple authentic Spanish mantilla! 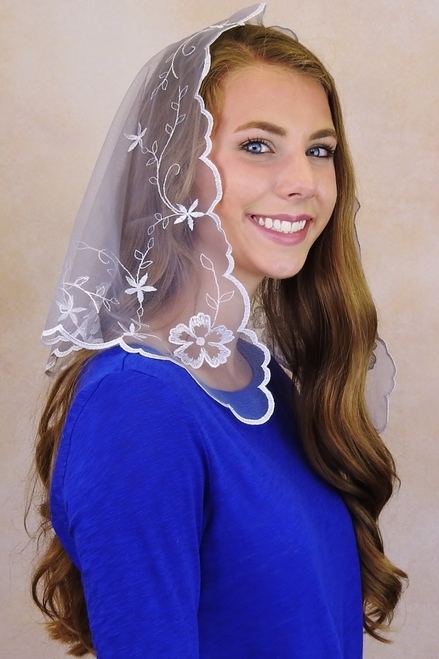 Inspired by the simple veils of Korean Catholic women, this delicate mantilla features plenty of sheer space all over and a lovely embroidered edge that highlights our femininity while remaining humbly subdued in its simplicity. Approx. 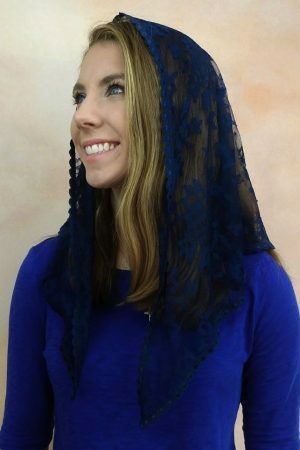 33” by 20.5”.